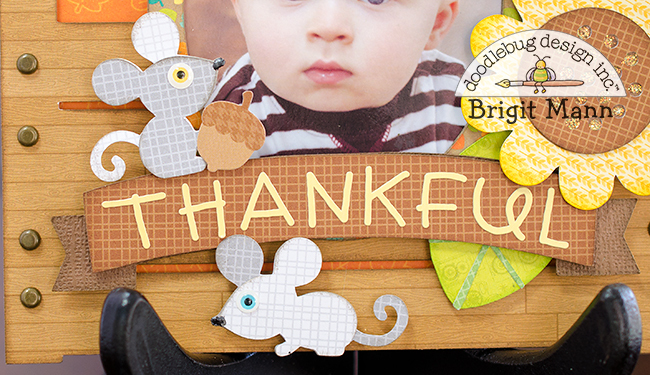 Hello Doodlebug Fans, it's Brigit here sharing a picture frame I made for my Thankful project. There are so many things I'm thankful for and this little guy, my grandson is high on that list, he's an absolute treasure. I used one of my favorite Doodlebug collections, Flea Market to create this frame! It's put together with cut files from the flea market collection, these are svg files from Lori Whitlock's shop that I cut out with my Cricut Maker but you can also get these files from the Silhouette Design Store. I'll list all the flea market cut files used below. These adorable eyes on the crow are from the eye candy sprinkles pack, the eyes on both mice are also from this same pack. All the flea market pattern paper used is from the 6 x 6 pack except for the pumpkin which is merry maples from the 12 x 12 pack. Other paper used, lily white and stone gray from the rainbow gingham-linen petite pack, beetle black dot-grid petite print and bon bon textured cardstock. The letters are from the bumblebee teensy type cs stickers pack which just happen to fit perfectly on my banner without measuring, lucky me! The little acorn is a sticker from the flea market icon sheet and the brads are mini antique brass, love these! I also used three matte sprinkles from the zoo assortment pack on the pumpkin. 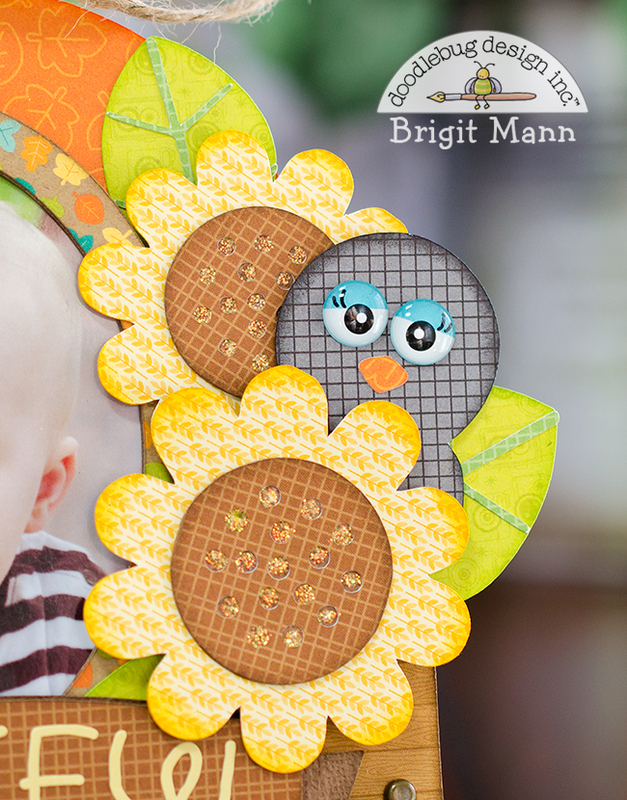 You can get all the flea market svg files in one collection or separately - sunflower - pumpkins - mice - crows - box of apples - a list of flea market cut files from the Silhouette Design Store can be found here. Hope you've enjoyed this project, thanks for stopping by and have a wonderful day! This is just the cutest frame ever! And that face! How cute is this frame !!! So cute, the card and the child!